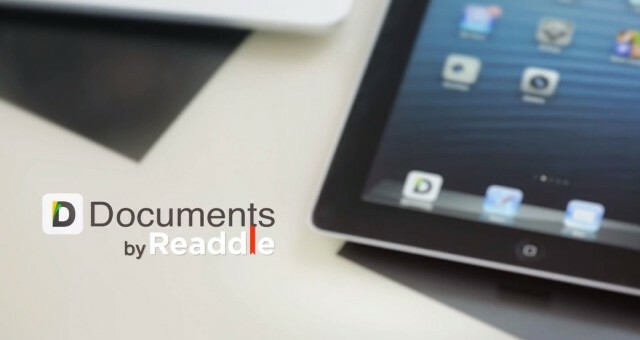 Documents by Readdle — the free iOS app that replaces a dedicated document viewer, PDF reader, download manager, music player, and more — has today received another new update that adds even more nifty features. In addition to photo library integration, you’ll also find drag and drop file organization, and the ability to “star” your most important or most frequently used files. With photo library integration, all of the images saved on your iOS device will now appear inside Documents automatically — there’s no need to import them. You can view them inside Documents, copy them, send them to other apps, and email them. Organization is now a lot easier, thanks to the ability to drag and drop files in between folders, or move them to sidebar folders like iCloud, Dropbox, and others. You can also place stars on files now, making those that are most important to you even easier to find. The latest version of Documents is available to download from the App Store now. It’s a universal app that works on iPhone, iPad, and iPod touch, and it’s completely free.